“THE WAGES OF SIN IS DEATH, BUT THE FREE GIFT OF GOD IS ETERNAL LIFE IN CHRIST” (Rom 6:23) – Welcome to Fr. JohnBosco's Blog! You see, out of laziness or wickedness, and in a bid to run away from our family responsibilities, many of us try to appeal to religion as a tool of division. Imagine a brother telling his siblings that he will not take care of them until they have embraced his religious orientation. Is that Christ-like? Even Christ himself embraced sinners. 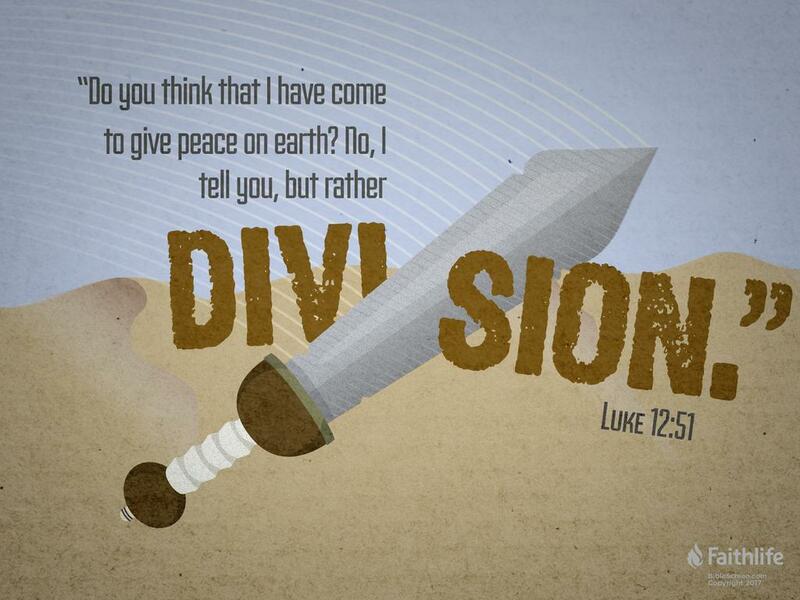 So, what does Jesus mean when he says that he has come to bring division and not peace (Luke 12:49-53)? The answer must be seen more from the individual before going social. First, the division separates the old self which was rooted in sin and death from the new self which has embraced light and life. The new self refuses to be associated again with its sinful past, which may include family or national beliefs. This refusal might attract resentment from families and nation. So, it is not the individual who is separating himself. Instead of focusing on that social division, we are encouraged to yearn more for the internal division which is necessary for our salvation. St. Paul reminds us that the wages of sin is death. Christ has already separated us from that sin and death through his own death on the cross (cf. Rom 6:19-23). It is important that we maintain this particular division so that we might remain on the track to eternal life. And may God grant us the grace to stay away from sin and embrace the free gift of eternal life which he gives us in Christ. Amen. Have a spiritually focused and fulfilling day. Peace be with you. Amen. And with your spirit fr.